Just within a week Google added new Voice & Video chat feature in Gmail, today you’ll see a new Google Voice Search feature for iPhone. However, this is the first time I see Google is catching with Microsoft (Tellme Service) and Yahoo (oneSearch with Voice) in Voice Searching for mobile phones. Well, of course I’m not talking about those smuggled iPhone, ok! Officially, Singapore started selling iPhone since 22th August, now Thailand is going sell original 3G iPhone in coming months! True Move, Thailand’s third-largest mobile phone firm, announced yesterday that they had signed a deal with Apple Inc. to sell the 3G iPhone in Thailand. I think we’ll only get to see 3G iPhone here after iPhone 2.0 is out! Apple iPhone Coming To Singapore On 22 August! 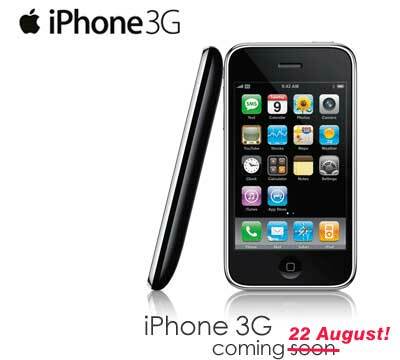 After such a long wait, Apple third-generation iPhone 3G will be officially sold in Singapore on 22 August, 2008! Singapore Telecommunications (SingTel) announced this much awaited news on Tuesday. Both the 8GB and 16GB versions of iPhone will be available. Similar to how iPhone was first introduced in Hong Kong, SingTel will accept online reservation until Aug 17. iPhone will then hot the shelve of all SingTel stores throughout Singapore on 22 August. No price tag is set for the phone yet though. Well, I know some shops in Malaysia have already been selling unlocked iPhone since early this year but the question now is when are we going to see iPhone officially launched here in Malaysia? 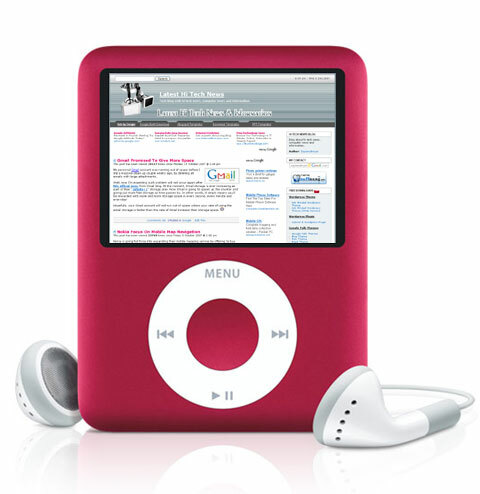 Apple iPod Nano has evolved to the 3rd generation, now with larger and brighter display. The design of its casing somehow doesn’t change much and still consists of an anodized aluminum top and polished stainless steel back. You might already been getting bored of the original casing and want something different? Well, the world’s first platinum Apple iPod Nano is soon to be launched by the UK’s Goldstriker. 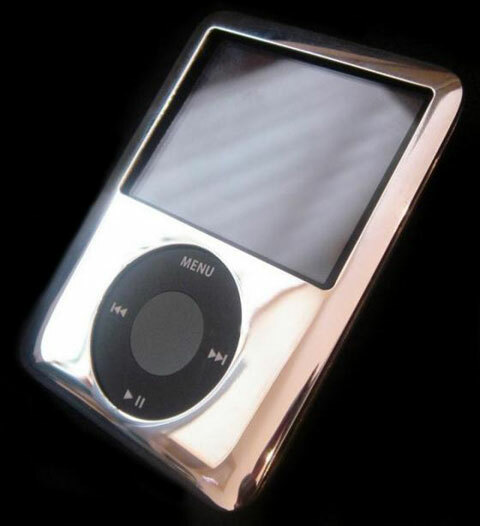 Unlike the conventional casing, the platinum plated iPod Nano uses the most precious metal and it sure look more glamorous and style. Nokia is going full force into expanding their mobile mapping service by offering to buy US-based Navteq for a massive US$8.1billion. Navteq is a company which develops digital maps for the car industry, satellite navigation devices, internet-based mapping applications and solutions for the government and business markets. Early this year, Nokia rolled out their mobile mapping service called Smart2go. I even have a post about the review of Smart2Go, which was done by a reader of mine, Hafiz Ismail. “The navigation area is a fast-growing business, and with location-based services expanding rapidly into mobile communications devices, the industry is poised for even further growth,” Nokia said in a statement. 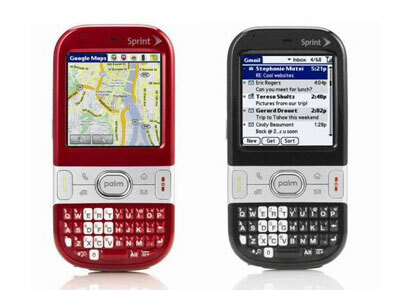 I’ve been thinking of getting a smartphone with PDA function since long time ago. However, I didn’t really go into surveying the features and prices for such device because most of them are cater for business and corporate users. Out of a sudden, on September 27th Palm Inc. announced its first entry level smartphone : Palm Centro. It is designed for individuals and traditional mobile phone users. Not to mention it’s using Palm OS 5.4.9, not Wiindows Mobile other smartphone in the market using.